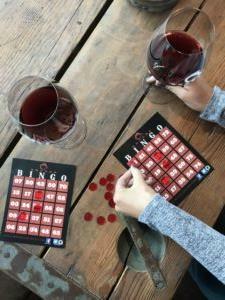 Sip wine, enjoy snacks, and win prizes in our fun number-calling competition. Wine will be available for purchase by the glass and bottle. Club member discounts apply to bottle purchases. Member complimentary glass pours not available during this event. Beer and Cider available on draft. Snacks will also be available for purchase. There is no charge to attend. No outside food, please.